This week, we’re sharing another interview in our “From the mouths of the Adcoms” series! Meet Neil Mangus, Associate Director of MBA Admissions at the prestigious Mendoza College of Business at University of Notre Dame. Enjoy his helpful tips and advice! Q: What type of person do you think would really thrive at the Notre Dame School of Business? A: We’ve found that individuals with strong academic aptitude, leadership potential and what we call “consideration of others” tend to be the strongest performers in Notre Dame’s MBA program. Academic aptitude is important in a program where most of the classes are only seven weeks long. The aggressive pace means you need to be able to balance a lot of different things at once and integrate new concepts and learnings very quickly. 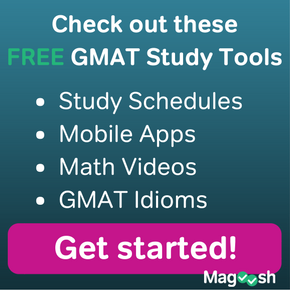 GMAT/GRE, undergraduate GPA and a strong transcript are good indicators of academic aptitude. Leadership potential is important because MBAs will be expected to be leaders in whatever organizations they join after graduation. Good career progression, a clear and logical career development plan, the ability to work well in teams and experience managing people and resources (i.e. – budgets) are typically good indicators of leadership potential. The third component that we look for is really an outgrowth of the fact that the University of Notre Dame has a unique mission. Our founder, Father Edward Sorin, charged the graduates of this University to be what he called “a force for good in the world”. We believe this vision is especially crucial for our MBA graduates. We believe that MBAs must be qualified business people who possess all the skill necessary to drive performance in today’s complex business organizations. However, Notre Dame MBAs should also have an awareness of the importance of personal integrity, the needs of others and the wide impact of their decisions as managers – on their employees, their local communities and the environment. Candidates that can demonstrate a propensity for consideration of other people’s needs and the ability to contribute beyond just the “40 hour work week” will generally do well in an environment like the one at Notre Dame and so they will typically make a favorable impression on the Admissions Committee as well. Q: How should a student decide if applying in round 1 or round 2 is a better option for him/her? A: There are multiple considerations for applicants regarding the timing of application submission for our MBA program. We encourage applicants to submit the application when they feel comfortable that it represents their qualifications best. If an applicant rushes through their application, the Admissions Committee will definitely notice and that may hurt the applicant’s chances for admission, regardless of which round it was submitted. Although there are more spots available to fill in Round 1 than in Round 2, we try to keep enough spots open during each round to give all applicants a fair chance at a spot in the class, regardless of the round in which they submitted. There are times, however, when the pool of candidates becomes highly competitive in the later stages and it may become more difficult to compete for a spot further on in the process. In that case, it will be better to have applied during Round 1 than waiting for Round 2. It truly depends on the situation of the applicant. In instances where it is unclear when to apply, we suggest reaching out to the Notre Dame MBA Admissions office at mba.business@nd.edu or toll-free at 800.631.8488. 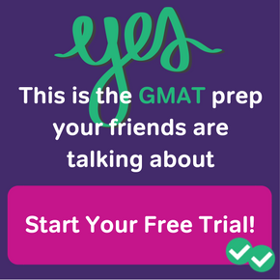 Q: Is a low GMAT score a deal breaker when it comes to getting into Mendoza? Why or why not? A: It’s important to know that there are no magic numbers in seeking admission to the Notre Dame MBA. We are ultimately looking for academic aptitude, not a specific GMAT/GRE or GPA number. A solid GPA is surely one way to compensate for any weakness in GMAT/GRE; however, it’s also important to note that we look not only at your GMAT/GRE number, but at many other aspects of your qualifications including essay(s), PowerPoint presentations, interview results, recommendations, transcript difficulty, work experience, etc. All these factors and more play a role in our evaluation of your academic aptitude. Q: When it comes to choosing a school that’s the right fit, would you recommend that students choose schools based on how high low or high their GMAT scores are compared to the average score of that school? Why or why not? A: Average standardized test scores listed for business schools can help applicants get an idea of the typical class’s academic aptitude as measured by the GMAT or GRE. This indicates the level of competition an applicant will face when applying for that program. Typically, high GMAT and GRE averages are indicators of more selective schools, but that rule is not steadfast and absolute 100% of the time. Because business schools review so much more than just the standardized test scores, we recommend applicants also consider their other qualifications as compared to the schools’ reported numbers when determining if they will fit in with the rest of the class at that particular school. We look for how applicants perform under pressure in an interview setting. An applicant’s ability to impress our interviewers is a strong indication to us of how well they will do in an interview for a job upon graduation from our program. We also look for supplemental information that has not been conveyed yet in the application process. Some applicants may run out of room to explain their experiences on paper or would prefer to expand in a face-to-face setting with our interviewers. Interviews are also an opportunity for applicants to show the Admissions Committee what type of interpersonal skills they possess, giving many people an opportunity to shine, especially if they lack a very strong resume, GPA or test scores. Strong applicants will typically be respectful, professional and thoughtful before, during and after their interviews. Applicants should be aware that admissions committees will judge you based on how well you interact with not only the interviewer, but also with other students and staff of the program outside of the interview itself. A great interview with the Admissions Committee can go a long way towards admission to an MBA program. 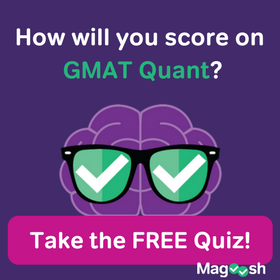 A: Because the GMAT is more geared towards assessing business acumen, we are more comfortable with this score. We do, however, accept both test scores at this time and pay no admissions preference towards either test over the other. Q: What would you say is the best way to determine if business school is the right next step in your future? A: Determining your next steps in life is a very personal and individual circumstance. Knowing your strengths, weaknesses and desires in life will be very important in knowing whether or not business school is for you. We recommend weighing all options for yourself, your family and for your future before making any decision. Make sure to weigh the pros and cons against each other and then sleep on it. Once your mind is able to process all the costs and benefits next to each other, the decision typically becomes clear. However, if you are still torn, speak with others who have gone through the process. Many schools will provide you with direct contact to their alumni networks and may even match you with someone who was in a similar situation as you prior to business school. This is a great opportunity to gauge their success in life and satisfaction with their choice so you will have a better understanding of what might lie ahead for you if you choose the same path. Q: What’s one final piece of advice you’d like to share with every Notre Dame MBA applicant? A: Take the time to be aware of what your application says about yourself. Too often applicants rush through every step of the way, hoping a high test score, GPA, strong recommendation or superb interview is all they need to gain admission. Business schools are looking for not just one qualification that sets you apart, but all of the qualifications that set you apart. Make sure to own every last bit of what you are bringing to the table. Be meaningful in what you present to the schools you want to attend and even those that are your safety nets. The best candidates have meaning and purpose behind everything they do and it makes a big difference in our decision when we know an applicant is fully prepared for what they are getting into.